NEED FINANCE? WE CAN HELP! 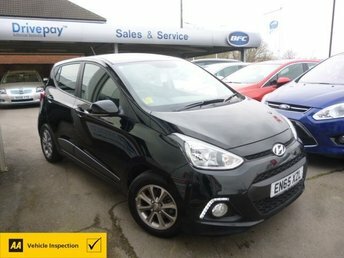 If you're in the market for a stylish city car with a keen sense of fun, take a good look at Hyundai's i10. A sculpted, vibrant exterior is matched by a sophisticated interior that's well equipped and designed to provide you and your passengers with a comfortable ride. There's plenty of space available too, making this a practical pick that will thrive in an urban environment. 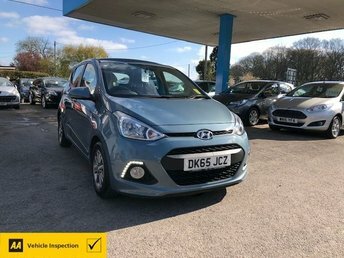 Get more information on the range of used Hyundai i10 models for sale in Reading by contacting a member of the showroom team at BFC Motor Group today. You can also start your search right here on the website by browsing our latest stock. Finance is available to UK residents aged 18 years or older, subject to status. Terms & Conditions apply. Indemnities may be required. Other finance offers may be available but cannot be used in conjunction with this offer. We work with a number of carefully selected credit providers who may be able to offer you finance for your purchase, commission may be received. We are only able to offer finance products from these providers. Postal Address: BFC Motor Group, A4 Bath Road, Padworth, Reading, Berkshire RG7 5HR. Find contact details here.